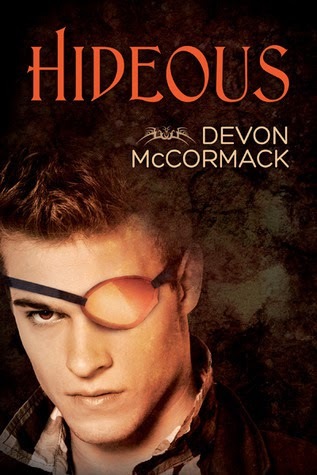 What inspired you to write Hideous? I’m a big fan of the Brothers Grimm fairy tale, “The Handless Maiden.” In the story, a demon pressures a father into cutting off his daughter’s hands. She ends up on her own, struggling to survive, when she meets her Prince Charming. The prince carries her off for their happily-ever-after, but it’s not that easy. The demon still wants to make her miserable, and tries to meddle with her life some more. It’s a beautiful story, but I think because of the main character’s disfigurement, it’s not likely to ever get made into a Disney movie. Outside of the main character’s missing hands, what fascinates me about “The Handless Maiden” (and fairy tales in general) is that they assume that demons are just a part of everyday life. Not always present, but like illness, just something that crops up from time to time. I was really interested in creating a world where this was the norm, where people knew of a very real and present demon threat. I also liked the idea of having a character with a very clear disfigurement. So many of our heroes are too perfect. They have great bodies. They have great personalities. Even their faults come in handy at just the right times. I think that there is this prevalent belief that a hero has to be physically intact in order to truly be a hero. Granted, there are plenty of cases where it isn’t this way. But if you look around at mainstream stories, so many of the heroes depicted have either great or average bodies (this is especially true of movies). Those were the main things I was interested in taking from “The Handless Maiden,” and from there, the story just took on a life of its own. Why do you think some critics look down on books that are labeled Young Adult? Because they need something to look down on, and books that are perceived as juvenile are easy victims. That’s the short answer, but the truth is, anything labeled genre fiction is looked down by literature snobs. That’s the way it’s always been. I remember having a creative writing teacher who told the class that we couldn’t write about vampires, monsters, ghosts, or other such “nonsense” in our stories for the class. He said that wasn’t considered “literary.” So in a moment, he cast Shakespeare, Dickens, Stoker, Melville, and Shelley into the wastebasket—surely without even realizing it. I dropped the class the next day. I ended up taking my creative writing course with someone far more suited for the job. It’s a big topic, though, and it’s never going to end. The Romance genre has it the worst, I think. To some, it’s seen as the lowest sort of fiction imaginable. Of course, if Jane Austen was alive today, God knows that’s what her work would be classified. There are plenty of great romance novels. But people need something to look down on. Even Romance authors look down at Erotica authors. It just goes on and on and on. I think what everyone is really bothered about is formulaic writing. That’s the real enemy. We’re bothered when we notice that no one is innovating—no one is taking art to another level. And yet, while we look down on it, there are parts of the formula we crave, which is why it even exists. In other countries, there isn’t this stigma against the formula. There’s a reverence for it. Is that too long of an answer? Sorry. The best answer is that it doesn’t really matter. Stigmas against YA books won’t keep them from selling, and it won’t keep people from enjoying them.